Nothing in the real world exists as a one or two dimensional object. Those are geometrical abstractions we can use, but nothing real exists that way. Three dimensional items are not three things at once. 3-D is not three parted, it’s one thing, volume. We subdivide volume to measure or locate objects, but the dimensions exist together as a single unity. There isn’t anything anywhere that cannot be absolutely located and spatially described within volume. 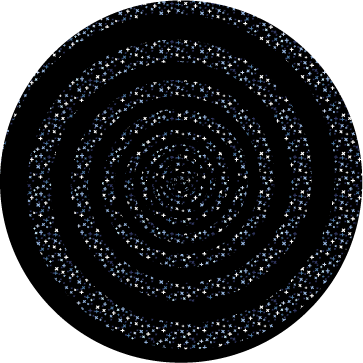 Talk of extra dimensions is meaningless as volume already encompasses everything as one thing and not three. Thing is, you don’t have to go with length, width, and height to determine size, shape and place. You can also use longitude, latitude and altitude. Both work. It all depends on if you want to imagine the universe as a cube or a sphere. It’s a choice on how you want to do the math. Now your three dimensions are different. 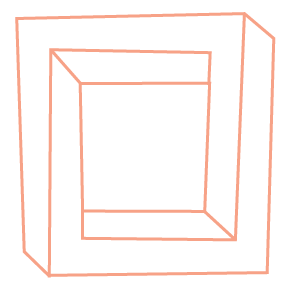 Which are the real three dimensions? The only thing that doesn’t change from a cubic to a spherical universe is volume, that’s what’s real. Time can’t be “the fourth dimension.” Volume is a single concept, time is a separate concept entirely. Time isn’t volume in any way, shape, or form. Volume exists in time, or over time, but we wouldn’t say it has the dimensions of time. What would those be? Past, present, and future? Would it mean anything to say a cube has length, past, width, present, height, and future? These concepts are so different they don’t interact in any way. If a thing can’t be one or two dimensional, what makes someone think it can be four or five or whatever dimensional? What and where is that dimension? Let’s go back to time, which can be thought of as having three dimensions, past, present, future. What would a fourth dimension of time be? When would it be? It’s just as meaningless to add some undefined “fourth dimension” to time as it is to add any number of undefined dimensions to space, volume. Besides, time isn’t made of three dimensions, it’s one thing which we subdivide for convenience of understanding. Anyway, the space is not made up of three things called dimensions, it’s one thing, volume. And time is another unrelated, and non-interactive aspect of reality altogether and not a dimension of space. The three dimensions are artifacts of geometry, creations of math, but the universe wasn’t created by mathematicians.